No doubt this is the most unique place you’ve ever seen snow angels being made! 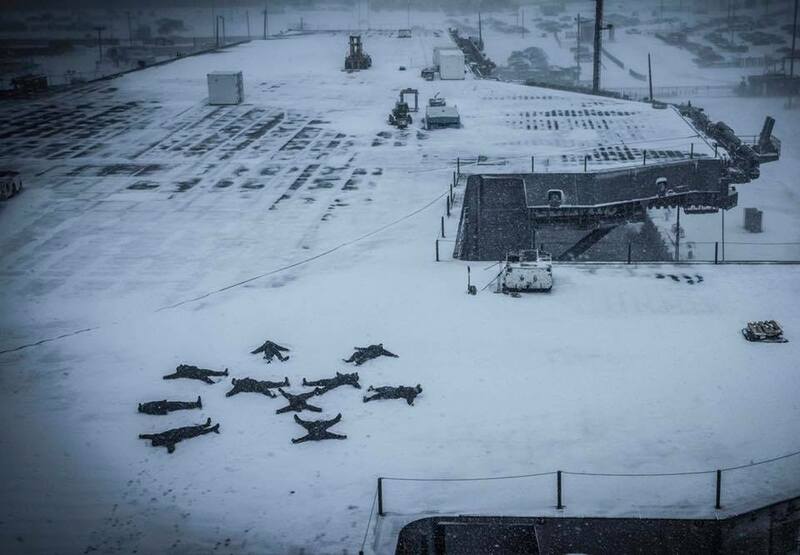 Taken on Jan. 7, 2017 at Norfolk, Va, the funny picture in this post shows sailors creating snow angels on the flight deck of the aircraft carrier USS Dwight D. Eisenhower (CVN 69) (Ike). Ike is currently pierside following a regularly scheduled deployment to the U.S. 5th and 6th Fleet areas of operation.